Historic New England recently secured a $10,000 grant from the Rhode Island Council for the Humanities to fund Colonial Times education programs at Arnold House in Lincoln. Historic New England staff worked with local teachers to develop the program, which supports the classroom curriculum and is fun and engaging for students. Colonial Times immerses students in early local history in an authentic seventeenth-century setting. The program lets students explore history through hands-on activities including candle-making, writing, preserving food, and bartering. The program shares engaging stories from the region’s rich cultural legacy with a young audience. 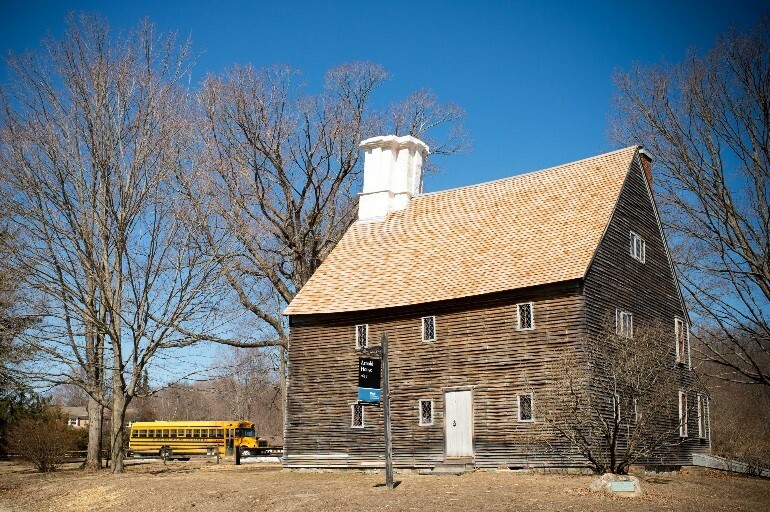 Historic New England has been presenting school and youth programs for more than thirty years. These programs have earned national attention for their innovative use of historical resources to reinforce and enrich school curricula. In 2016 Historic New England served 46,939 students from 202 communities. This project is made possible in part by a grant from the Rhode Island Council for the Humanities (RICH), an independent affiliate of the National Endowment for the Humanities. RICH seeds, supports, and strengthens public history, cultural heritage, civic education, and community engagement by and for all Rhode Islanders.